Institute for Open Leadership by Cable Green is CC BY. 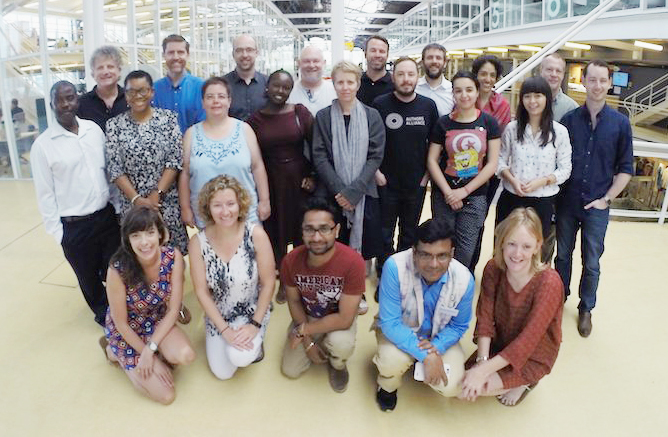 Earlier this year, Daniel DeMarte of Tidewater Community College and Amanda Coolidge of BCcampus attended the Institute for Open Leadership in Cape Town, South Africa. The Institute, developed by Creative Commons, is an opportunity to train new leaders in education, science, and public policy fields on the values and implementation of openness in licensing, policies, and practices. It was at this Institute that Daniel and Amanda began the development of a tool to generate open educational resource policies at colleges and universities. For each component, we provide an explanation of why the component is needed, sample policy statements, sample resources, and a recommended action checklist. 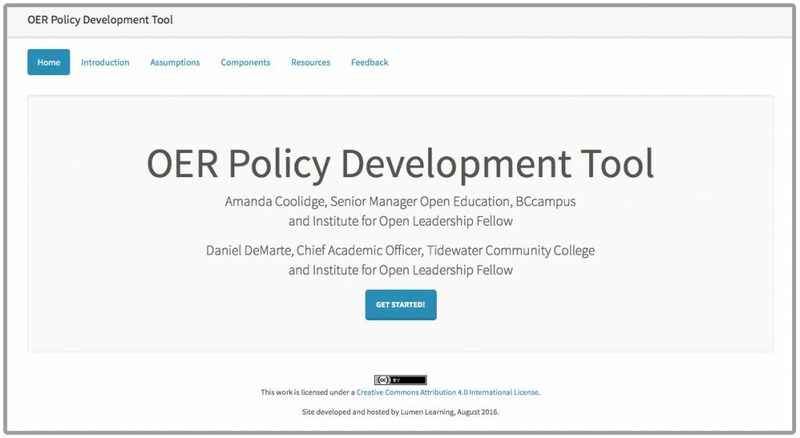 Please stay tuned for continued updates on the status of the OER policy guide by subscribing to the BCcampus newsletter and following us on Twitter, LinkedIn and Facebook.